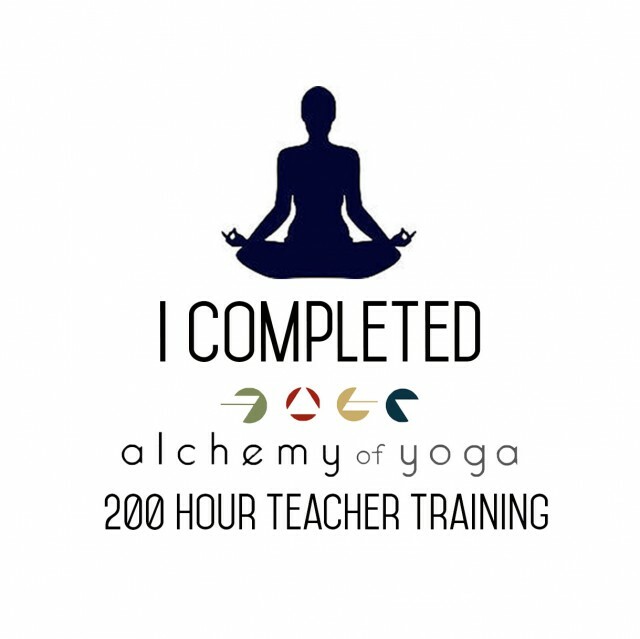 This 200-hour program is recognized by Yoga Alliance as a REGISTERED 200-HOUR YOGA SCHOOL and offers you a unique opportunity to make a deep commitment to learning more about yourself. We create a safe haven: a nurturing place to engage in open minded self-exploration. Alchemy of Yoga is devoted to offering you an atmosphere in which freedom of expression, fun, creativity, and passion for life are “totally” encouraged! This program covers the foundations of the 8 limbed path of Yoga and believes in yoga as a life-long truthful celebration of ourselves and our world. • Techniques (100 Contact Hours/15 Non Contact Hours): Includes asanas, pranayamas and meditation. These hours include both training in the techniques and the practice of them. • Teaching Methodology (25 Contact Hours/6 Non Contact Hours): Principles of demonstration, observation, assisting/correcting, instruction, teaching styles, qualities of a teacher, and the student’s process of learning. • Anatomy & Physiology (14 Contact Hours/6 Non Contact Hours): We will incorporate awareness of physical and subtle anatomy throughout training. • Philosophy, Ethics, & Lifestyle (20 Contact Hours/10 Non Contact Hours): Study of Yoga Philosophy (Yamas, Niyamas), Yoga Scriptures (Yoga Sutras), ethics for yoga teachers, and living the life of the yoga. • Practicum (10 Contact Hours): Includes 5 hours of observing and 5 hours of assisting in classes taught by other teachers. • Electives & Independent Study (10 Contact Hours/5 Non Contact Hours): These hours will include assigned reading or other homework including a sacred study project, unsupervised study/meditation groups, classes, workshops, and a mandatory community service offering of 5 hours of Karma Yoga Student Teaching. 1. Observations: Complete five class observations. To receive credit for these observations, include the dates, locations, and names of teachers you’ve observed. In addition, please write a brief report detailing your observations and reflections (1-2 paragraphs each). 2. Assistant Teaching: Complete five assistant teaching sessions. To receive credit for assistant teaching, include the dates, locations, and names of teachers you’ve assisted. In addition, please write a brief report detailing your experience (1-2 paragraphs each). 3. Sacred Study Project: Write a report on the chakra(s) or dosha(s) of your choice. You have complete creative freedom in this self-study. The intention is that you dive deeper into the chakra system or the practices of Ayurveda. At minimum, please submit 2-3 pages of personal reflection, but you are encouraged to take the direction that inspires you most. 4. Community Service Karma Yoga: Teach six hours of yoga FREE of cost. To receive credit, include the dates and locations where you have completed your Karma Yoga. In addition, please submit a brief report detailing your experience (1 paragraph each). 5. Asana Sheets: Create a photo diary of the following 10 fundamental poses: Downward Dog, Warrior 1, Warrior 2, Utkatasana, Pyramid, Pigeon, Ardha Matsyendrasana, Plank or Side Plank, Upward Dog or Cobra, Bridge or Wheel. In addition to a personal photo that embodies your personal alchemy, please include a brief list of purposes, benefits, modifications, and cues. 6. Final open-book exam: The exam is distributed via e-mail part-way through teacher training. It is open-book, open-friend, open-Google, and open-heart. 7. Attendance: 180 contact hours are required. 8. Attitude: As a requirement for certification, each trainee commits to a positive attitude of ahimsa, offering loving kindness and patience to all beings. 9. Alignment: Conscious relationships and ethics in line with Yoga Alliance, please refer to the YA Code of Conduct found here. How to Submit Your Work: Please create a separate document for each practicum requirement — e.g., all observations are in one document, all assistant teaching reflections are in one document, etc. Please title each document with Your Name + Assignment — e.g., Sarah Erter: Observations. E-mail all assignments to Silvia (silvia@alchemytours.com) and Sarah (sarah@alchemytours.com). Submission Guidelines: For each teacher trainee, it takes a different amount of time to complete the program post classroom sessions. Everybody has their own yoga, which Alchemy of Yoga respects and honors. We namaste you and want you to LIVE your namaste as you do what you feel is best for you. 2. Mental Alchemy – Svadhaya. While we are following the discipline of tapas and engaging in physical practice to help move our stuck energy we are watching ourselves. In yoga we study the self to learn about the self. Here the mental alchemy is through self-observation. We witness what is going on in our thoughts, what are we thinking. 3. Spiritual Alchemy – ishvara pranidahana. As we are doing and watching we let go of the ego of judgment. We move beyond wanting life to be different and begin to feel the surrender that allows what is being offered to mix together. We practice ishvara pranidhana as we trust the universal intelligence that hugs us from all directions to know what it’s doing. And once we find this trust we begin to believe that beauty and goodness are within us flowing nonstop and there is no reason to stop this flow for its natural current is to align with the current of grace that is everywhere outssde us. Beauty becomes our way of life. Happiness becomes our natural alchemy. You see when you get together in a Teacher Training Tribe (aka Alchemy of Yoga) we are all like the Alchemist in his/her laboratory mixing ingredients. For us as yogis our laboratory is our mat and the ingredients are our bodies, our poses, our breath, our thoughts and the mixing it all together creates a different result every time. A Teacher Training Program changes your life. You wake up to the power you have to go into the laboratory of your life experience and mix the potions you want to create your best life going forward! 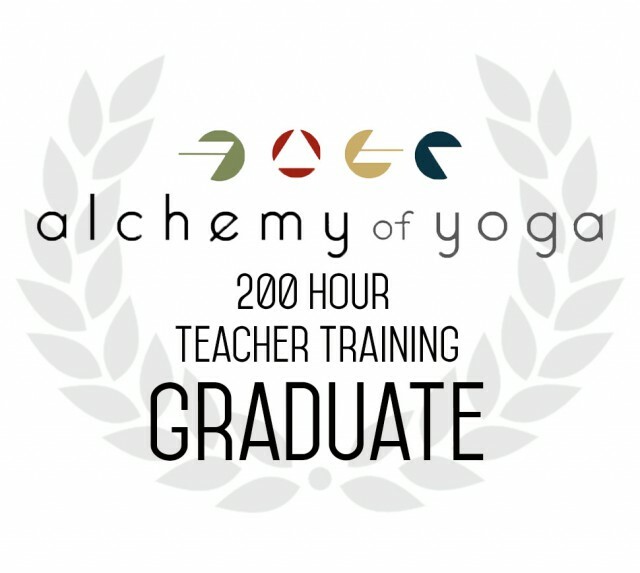 We believe that the Alchemy of Yoga Teacher Training Program sparks the fire of transformation in everyone. Apply today! Namaskaram!